We are currently recruiting for our Research team! Click here to access our application. As always, feel free to contact us with any questions regarding the recruitment process! We are currently a small group of undergraduate students with a diverse set of majors and what brings us together is the equally-diverse field of synthetic biology. This year, our Research team will continue to challenge the potential of synthetic biology in standardizing the customization of novel materials, and to explore the intersection between practical and scientific design. Additionally, our new Business team will evaluate the marketability of our project and help bring it to reality. Through forming partnerships, establishing sponsorships, and writing project pitches, our team will ensure that UCLA iGEM is up and running, while competing for the Best Supporting Entrepreneurship Award at the iGEM 2019 Jamboree in Boston, Massachusetts. Learn about what we're up to, and contact us if you'd like to hear more about or support our program! As synthetic biologists, we work with DNA as programmers would use binary. We string together collections of the four nucleotide bases of DNA to create genes, and we change or combine these modular genetic components to construct new tools, functions, and programs. By rearranging the genetic code, we might transform cells into biofuel-production factories, synthesize novel drugs, or one day, even instruct trees to grow into houses! Nature has already done the hard work, evolving most of the genetic functions that we have to work with. Inspired by nature’s design and motivated by human thought, synthetic biologists are redesigning nature. As synthetic biologists, what do we DARE design? 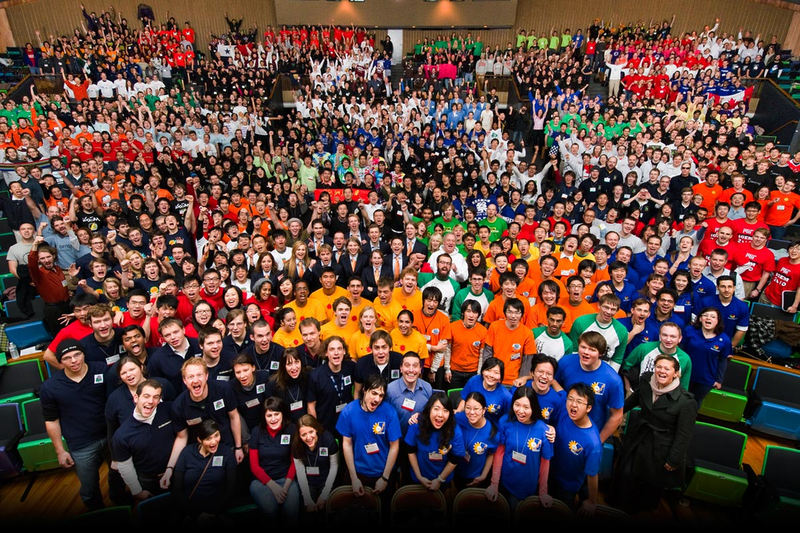 Over 250 teams from universities around the world participate in the annual International Genetically Engineered Machines (iGEM) competition, making it the world's premier undergraduate synthetic biology conference. Groups strike out on their own to establish a research program within the field, and everything -- from fundraising, project planning, to execution -- is led by students and overseen by advisors and faculty mentors. The iGEM program encourages teams to creatively challenge major scientific problems, utilizing and contributing to the BioBrick repository -- the largest, open-source collection of genetic parts that continues to grow each year. Additionally, teams are encouraged to consider how their projects contribute to improving industry.